A member of the National Democratic Congress, Mr Carl Wilson has initiated a campaign against the re-election bid of President John Dramani Mahama and the National Democratic Congress (NDC). Mr Wilson, who was Head of Port Security during the reign of late President John Evans Atta Mills has consequently announced the formation of a new political movement, with the name ‘Move Ghana’. He has since Tuesday been speaking to a number of radio and television stations explaining the motive for his campaign. Mr Wilson, a loyal NDC member became more popularly with the confiscation of vehicles under questionable circumstances during the reign of the late President J.E.A. Mills when he served as chairman of the Confiscated Vehicles Committee (CVC). 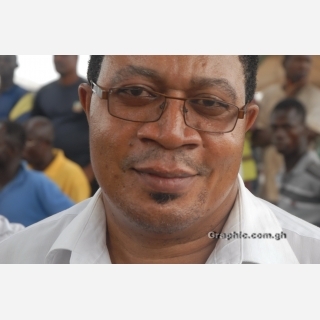 He was relieved of his post after a series of protests from NDC supporters over allegations of abuse of office. “It has nothing to do with being angry with any government or with this government. It has everything to do with my beliefs and what I think as a political scientist that Ghana needs and ought to do to turn the corner and then be a better place for us and for the generation that follows us,” he said. According to him he strongly believe that Ghana was not going the right direction and that it was not about changing the government; rather it was about changing the political system in the country and insisted that the time has come for Ghana to be governed by an independent president who is not aligned to any political party.